Mark McMorris exploded onto the contest circuit in 2011 with an silver in X Games Slope and winning the Air and Style tour. 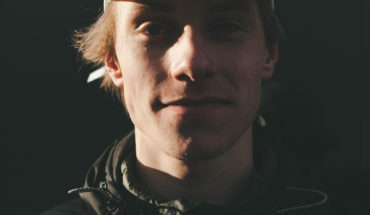 Since then he has become one of the true dominant forces of competitive snowboarding and the bookies favourite for the top spot in most events. If he was ever labelled as a park rat, he dispelled the myth that he was a one trick pony with his backcountry heavy part in 2016 Burton Presents. A few said that McMorris wouldn’t return after snapping his femur last season but now, a mere 9 months later, Mark is back to winning ways. Now he has his own video game Infinite Air, he is back in the snowboarding limelight and it seems the world is his Oyster, let’s hear more from the man himself. You grew up in Regina, Saskatchewan, Canada, which isn’t your typical birthplace of snowboarders, were your parents keen skiers or snowboarders? How did you first start riding? My parents were definitely keen mountain enthusiasts and we would make trips to the mountains a couple times per season. As soon as we started snowboarding my dad switched over from skiing to ride too. We skated a lot and we went to the mountain and they tried to get us to keep skiing but we were set on snowboarding. You seemed to essentially blow up in one season and just started to dominate contests, did you expect to make such an impact so quickly and what is the key to your success? The key to myself having success is that I am really passionate about snowboarding and I always try to ride at my best when I’m competing. It always feels good to ride at my best when it matters too. We asked Billy Morgan this a few weeks ago as well and wanted to ask you the same, how fun are triples to do and would you throw one on a regular day riding? There are certain variations of triples that are fun to do or maybe just one as I really understand where I am with it and I can throw in different grabs and pokes. The others are different as they don’t come around as often and are harder. Mostly I’ll push myself to do one at a contest or photoshoot when the kicker is perfect for it, it’s not an everyday thing. Did other riders moan when you landed triples because they would have to go do them as well to keep up? I definitely got a lot of hate when I did the first backside triple and started doing it in contests. There were some bitter people for sure but those people sort of washed out and then the others figured it out and started doing them too. 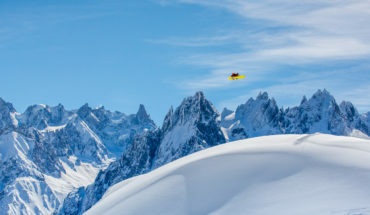 In Big Air contests nowadays a triple is almost not even enough, the progression in snowboarding in the past few years has been insane. Mark boosting into the sunset. Some US contests tried to suggest that you had beef with Shaun White, is that real or more of a pantomime for the viewers? It’s most definitely a TV made up thing, some words got taken out of context as I don’t have beef or drama with Shaun. It was mainly just because we were both favourites to win at that time, they created this media drama for the viewers. In reality though it doesn’t exist. You get a lot of attention from fans at contests and events, does that constant attention get annoying? It doesn’t really get annoying because I think it’s amazing that that I am capable of inspiring people and stoking them out and people can find joy in watching me snowboard. If I am in a bad mood for whatever reason and I meet someone that is really happy to meet you, it puts you in a good headspace. On the other hand though, there are some people that can say negative things about you and those people are usually quite vocal. That can be annoying or awkward at times. But that’s more seldom and it’s all good, that’s life. I think a lot of people had you down as a contest kid and your backcountry part with Burton really opened up a lot of people’s eyes. What response did you get from that and have you plans to film more backcountry parts? I think the fact that I have always really loved that side of snowboarding but I haven’t had the chance to explore that side of snowboarding. In the past 3-4 years I have been riding backcountry a lot more in my off time when I’m not competing. I love to be back there and film more and my Burton part helped people view me as an all round snowboarder and not just a contest kid. That’s probably the reason I got Rider of the Year with snowboarder and Transworld last year and that was the hugest honour for me. It’s Olympic qualification year, which means a lot more travelling and contests. 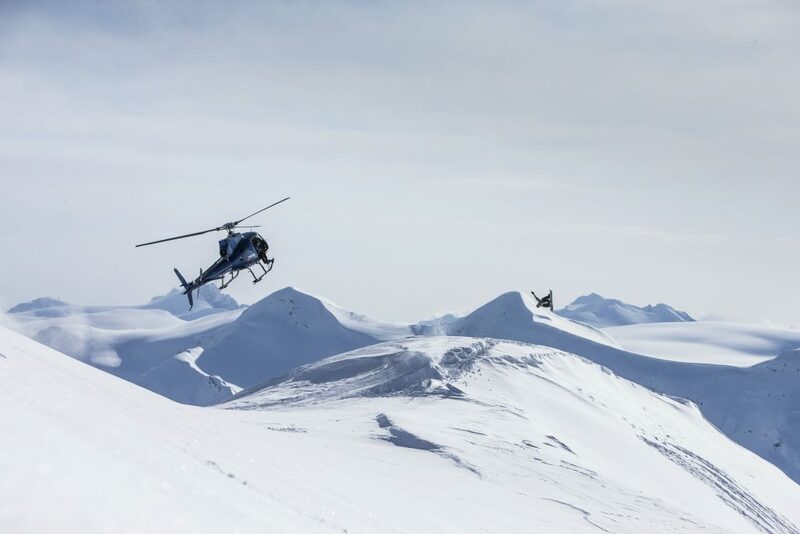 Do you think snowboarding puts too much emphasis on the Olympics? At times I think there is a lot of anticipation and expectation for that one event that comes around every 4 years but overall it’s a huge contest and it’s a reality that companies both in and out of snowboarding want me to go and do well. 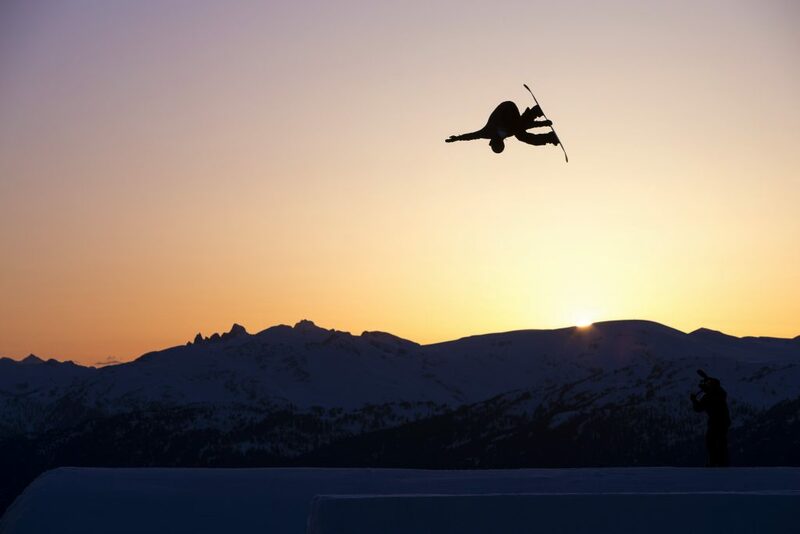 That’s how you are able to make a living as a snowboarder by doing events like the Olympics. It’s a give and take situation with living the dream that you have to stress about one contest every 4 years, it’s not the end of the world. We always hear negative things about FIS. Are FIS contests any different from a rider’s point of view to Air and Style, X Games or a World Snowboard Tour event? Which is your favourite to ride? I think the biggest downfall for FIS is the fact it’s run by skiers and the judges they hire aren’t necessarily the best for the job, plus they don’t want to let snowboarders run the qualifications for the Olympics. On the other side though they are pretty on it and they try to listen to the riders and change the jumps if it’s not quite perfect and things like that. There is definitely some pros and cons but every event is different, for me you cant beat the X Games, the course is great, the hospitality is perfect. There are more and more contests popping up that are good, so that high level is becoming the norm now. How much time do you get to ride for yourself without being at a contest or filming in an average season? Do you ever miss the times of not being pro? There are days where I think “oh I wish I didn’t have to do a triple in a snowstorm” or you want to go riding but you have to do some obligations for people that support you. But 99.9% of the time i’m stoked with everything. It’s you that puts the pressure or stress on yourself though, I just want to perform and do what I want to do. I definitely get the chance to ride for myself and with my buddies so it’s all good. You have your video game out Infinite Air, how was the process in making that, was there a lot of Motion capture. Are you happy with the result? They did do a lot of motion capture for Infinite air, it was a really interesting process that I enjoyed and I learnt a lot about how video games are created. I’m extremely proud of the game and so thankful to everyone who made it happen. The thing that stokes me out the most is that everything is now online, so any course that gets built or runs that are filmed can be accessed by anyone on social media and shared around. Infinite Air has a realistic feeling with the pokes and grabs and most of the tricks too, which was important for me. Obviously you can do more flips and spins than in reality but its not meant to be 100% accurate to how snowboarding is. When you think of Skate you can do double corks in that, which isn’t real life. In the future we are going to continue to do updates with new riders and spots. To have my own video game is a dream come true. You can follow Mark on his Instagram here.